With the changing economic times we are in, more and more people are planting gardens. Some in old flower beds; some are exchanging their lawn mowers for tillers and using the front yard; still, others are using raised beds all around their lots in town. Wherever you live, whether you have large rural acreage or a lot in town. You can grow your own fruits and veggies as long as you have dirt. Here are my top 10 gardening tips for beginners. If you’re a beginner vegetable gardener, there are some basic things you should consider when planning your garden. 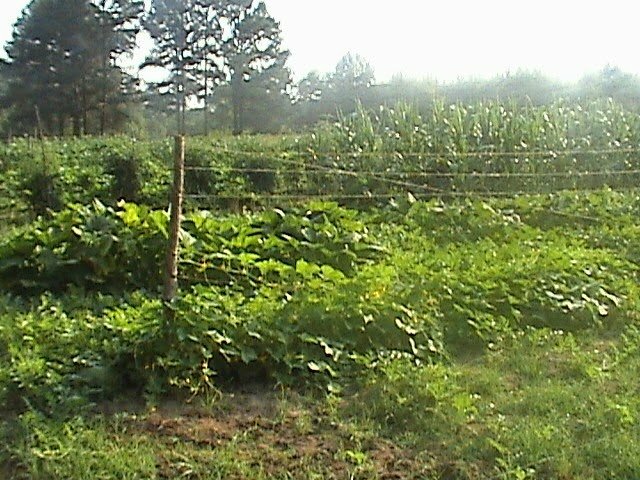 Things like site selection, plot size, which vegetables to grow, and how much to plant. Remember, “It’s better to be proud of a small garden than to be frustrated by a big one!” One of the common mistakes beginners make is planting more than anybody could eat or want. Trust me, you can only give away so many zucchini, cucumbers, and peas. So unless you want to have storage issues and excess waste, plan wisely. I would recommend talking with someone you know who has a garden and has the experience you need for your area. I was fortunate to have my grandfather and grandmother as a big part of my life and among the many things they taught me, gardening was one of them. There is just something wonderful about planting a seed and watching it do exactly what God instructed it to do: grow and produce fruit. Please know that I am not a “master gardener” so I won’t claim complete knowledge and authority on gardening. I am a lover of gardening, more so veggies than flowers, with over 40 years of experience. #1 Be sure you have enough sun exposure. Vegetables love the sun. They need at least 6 hours of full sun every day, and preferably 8. Some vegetables, like lettuces and spinach, appreciate some shade so be sure to check the sun requirements of your chosen veggies. I put my tender plants in a raised bed near trees where they can be sheltered by the shade in the late afternoon. Now, I have never tested my soil. It’s just not something that has ever been necessary to me. I do as much like my grandfather taught me as possible. He never did this, so I don’t. 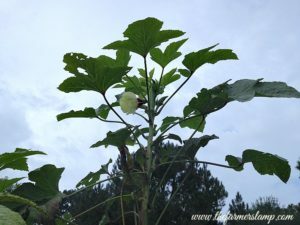 I am an organic gardener, but not everyone is, so you decide what you want and head that way. Most soil can be enriched with compost, and I do this in many ways. We plant a cover crop of buckwheat in the late summer, early fall after it goes to seed and comes up a second time, we cover the garden with leaves and let it sit all winter. We also add chicken manure from our free ranged chickens. If you have cows, you can add that to your compost pile or directly to your garden. Our cows are fed non-GMO feed and grazed so we know what will be in our fertilizer. Remember, vegetables love good, loamy, well-drained soil. You can check with your local nursery or local cooperative extension office about free soil test kits if you want to assess your soil type. Don’t plant too near a tree, which will steal nutrients and shade the garden. I know a lady who, on her first attempt at a garden, tilled and dug around trees in her backyard. She unknowingly killed the tree by destroying its main root system and her garden did not do well due to the drain on the soil by the trees. A garden spot close to the house will help to discourage wild animals from nibbling away your potential harvest, maybe. I have had deer come right to the back porch to eat the blooms off my roses and the squash from the vine in the raised bed. You can decide about tilling, lasagna gardening, no-till gardening, or a raised bed. Raised beds are great for people with bad backs or some other issue that makes stooping or kneeling on the ground difficult and if you have bad soil, this is a great way to start. Again, search the internet, ask your county extension agent, but most importantly, seek out someone in your community to learn from. Attend your local farmer’s market, this is a great place to meet farmers, form relationships with them, and learn. Vegetables need a lot of water, at least 1 inch of water a week. There are many systems, ways, and techniques for accomplishing this task. Too many to go into here, but I prefer soaker hoses, catching rainwater, and we have springs on the farm. Of course, you’ll need some basic gardening tools. Every gardener should have a hoe, a garden rake, a leaf rake, a shovel, a potato or hay fork, and shears. Know your local frost dates. Be sure to know when your last frost date is and when the first frost date is for your area. Remember the date in the almanac is approximate, keep your eye on your local weather. Plant too soon and you lose the crop, plant too late and you lose the crop, don’t be frightened by this, nature is designed to give us clear warning and prep time. A garden plot about 16’x10′ in size can feed a family of four for one season, longer if you preserve the harvest. That’s another article, but the basic ways of preserving the harvest are canning, dehydrating, or freezing. If you want or need more, adjust the size of your garden to the way you want it. If you choose this size, making your garden 11 rows wide with each row 10 feet long would probably be the best use of the space. Again, adjust to your own needs. If possible, the rows should run north and south to take full advantage of the sun. Some vegetables yield more than one crop per season like beans, peas, beets, carrots, cabbage, kohlrabi, lettuce, radishes, rutabagas, spinach, and turnips. Do you like to get instant results from your labor? Here is a list of 11 Fast Growing Vegetables from Primal Survivor. So, now that you have some of the basics, what are you waiting for? Get to gardening, you will never be sorry you did. Be sure to involve your whole family in the process. Happy Growing! Happy Eating! Happy Times! Coming over from the Homestead Blog Hop! Great advice! Thanks Mandi for stopping by to comment and for the good word. I’m so ready for gardening season to begin! We’ve got a few seeds started in our sunroom already and I can’t wait! Thanks for sharing on the Homestead Blog Hop! Im in Ohio, (zone5) so I know my growing conditions are different from zone 8. But I’d like to try some thing you’ve mentioned. At a gardening class recently, I met a lady who does plant buckwheat as a cover crop, and you’ve mentioned it as well. I may try that this year (if we don’t move, we just became empty nesters, so we may downsize house this year). Crop covers to great at amending the soil and provide nutrients. Just make sure you till them in or mow before they go to seed otherwise you will have more than you ever wanted.